This 29.5" x 136" replacement banner for medium feather banner stands is double sided and can have a different image on each side. 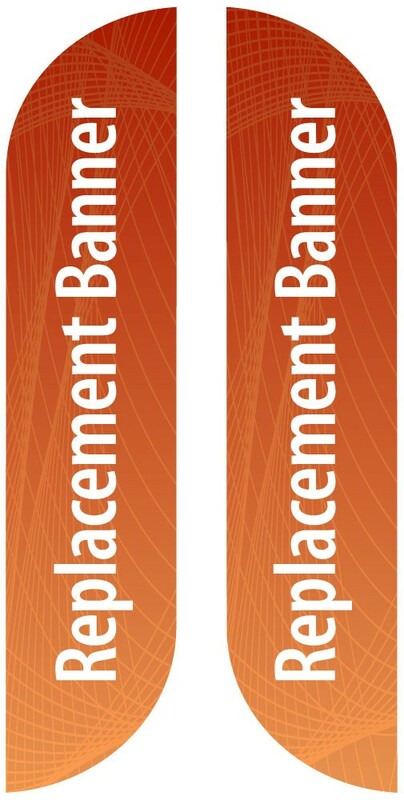 This replacement banner is designed for use in medium feather banner stands that hold a 29.5" wide by 136" tall feather banner. Each side of the banner is printed on 4oz fabric and sewn together with a blockout layer in between to prevent any show-through from one side to the other. The banners have a reinforced pocket along one side where the pole from the stand is inserted.